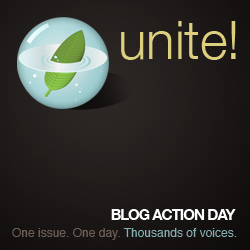 Since 2007, Blog Action Day has offered bloggers from different countries, with different interests and languages, a forum to blog about one important global topic on the same day. This year, the topic revolves around the Power of We. When I think about the subject, what comes to mind is community service and using our voices, individually and collectively, to create opportunities for positive change. How can we help? For starters, volunteer, support a charity or more, blog about issues that affect your community, your country, the world… WE can speak out. When I look around the blogging community, I see the love, care and support bloggers offer each other. We read, like, comment and re-blog posts to encourage each other and keep our community vital and informed… By the same token, our skills and actions help empower and uplift others in our local communities. Because we are exposed to social issues on a daily basis, most of us have become active participants in charities and groups that need help. Over the years, I’ve supported many charities and as I write this, a few come to mind: Kiva, Habitat for Humanity, Heifer International, and The YWCA. As a volunteer at the Y, I learned that when we offer our time, love and encouragement to others, we become beneficiaries of grace and goodwill. If you are thinking of ways to add more to your blog, to become a Change Maker, Blog Action Day has tons of ideas on where and how to support others… More below! I just watched a documentary about the Cambodian Children’s Fund, and it’s good to see that this organisation, started by one man 9 years ago, is still going strong, educating disadvantaged children. There is much we can do individually and collectively, but I think part of the issue is that different people are passionate about different things, so the ‘we’ aspect doesn’t always get the traction we might hope for, given that there are so many worthy causes. 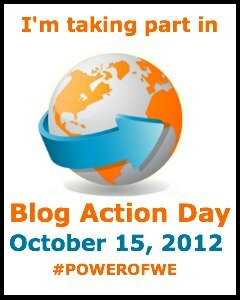 I saw this world blogging thing for the first time yesterday. I’d like to join in next time. [Gritting my teeth] I’m determined to get there one day! Washington is first on my list, then anywhere, USA. Knowing America, I bet there is a town called Anywhere, isn’t there? Well that’s the first time America has let me down…no, wait – second! Mothballing the shuttles put America on my naughty list. same mind and action…or we as several people doing the same thing but, in a different way…I think “we” as individuals can make a great impression…but, without taking that first step…”we” haven’t actually joined the “we” group in attaining anything…So go forward”we”…alone or as a group…but, go! Love the concept of the Power of We! This is your personal invitation to be a FEATURED BLOG on our site. Inspiring down to the last beautiful thoughts, “Help others. Help each other. Empower the world. 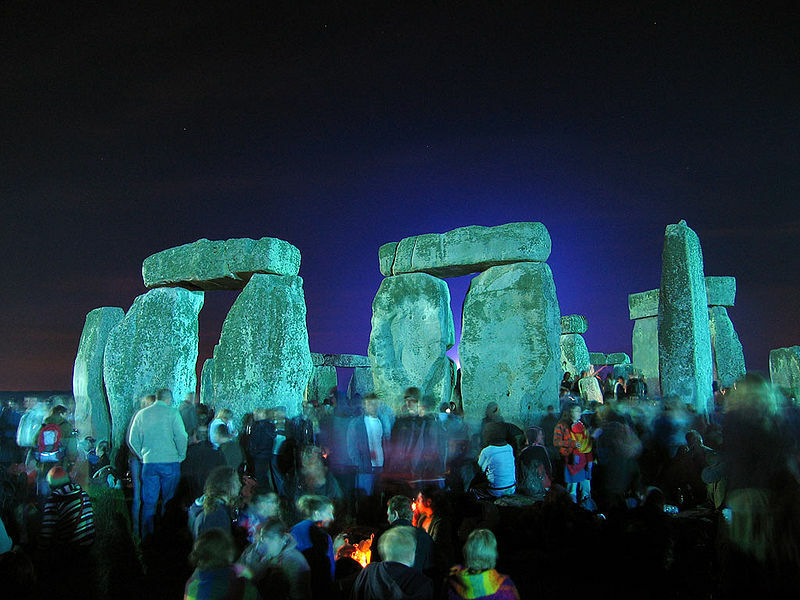 Remember the Power of WE…” May today, we live these all in our hearts and share it to as much people as we can. Ah the power of unity! It’s strong and beautiful! ‘United we stand’, it’s an incredible force. I worked for many years as a translator for development cooperation agencies and NGOs, so could have become a little jaded, but your blog restores my faith in concerted action for better lives.